Use these Instagram tips to dive into the social network! 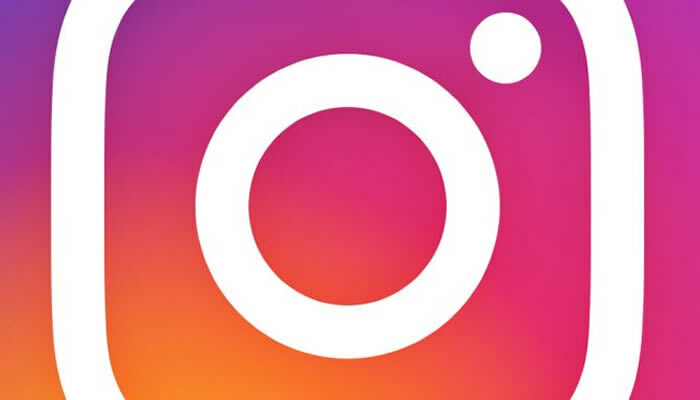 Instagram has over 500 million users and is the fastest growing social media network. Are you leveraging Instagram for your business? If not, it’s time for you to get on the social platform! Working with my clients over years, I have found these 4 Instagram tips to be a proven recipe for success. Let’s begin with some general information regarding Instagram. Then, we will jump into my four tips designed to gain you reach and engagement from day one. Firstly, it’s important to remember that Instagram, not unlike Pinterest, is an almost entirely visual medium. Before you form a final marketing plan, evaluate what leaders in similar businesses to yours are doing on the platform to innovate and be successful. The goal is not to copy your competition. Be stimulated and challenged by it to innovate with your ideas. Unlike Pinterest, you can not click on an image nor have clickable links in your posts. Your only clickable link is in your profile. Don’t panic! I have Instagram tip to help. While you may have one link, your imagination is the only limitation as to how to get your audience to click it. Experiment with ideas and see what works best for you. This outstanding article from Spout Social offers copious ideas to help you determine a content strategy that’s true to your brand. A standard approach is to change your profile link in tandem with any sale, promotion, contest or other marketing events you are running. Another great way to leverage the one link you have on Instagram is to use this marvelous tool from Campfire. The Campfire website allows you to swap your Instagram bio link to a special page where you can feature anything you want! Now, you can have have multiple links for Instagram and direct links to multiple social networks available to your viewers. Check out the Campsite.bio site. It’s free! Persuade your audience to click on your profile link within your posts. Instagram followers expect this from brands so don’t be shy. It’s critical to be a user of the platform oneself to harness Instagram’s power. If you don’t use or interact with it, you will never understand how to engage your audience. Create an account and to follow competing and exciting brands. Devote a small amount of time every day to learn the Instagram nuances. You can only leverage the platform if you are familiar with it! 1. Post consistently every day. I cannot emphasize this point enough. The number one reason I see businesses failing on Instagram is uneven posting. Posting erratically on Instagram simply does not work, and you will get extremely frustrated because Instagram is extremely sensitive to posting frequency. Therefore, it’s necessary to post daily to stay in the feeds of your followers. I recommend to my clients to start with twice to three times a day depending on your audience size. However, posting too often will hurt your reach. You want to post just the right amount like Goldilocks! For under 1000 followers, I have found that alternating posting between one and two times a day is ideal. Post for a couple of days once per day, and then post for one day two times a day. I have had great success starting accounts with this syncopated pace. Once you are over 1000 fans, posting consistently two to three times a day is the sweet spot. You can experiment with occasionally posting four times a day with over 5000 followers, albeit I have not seen this to be effective until you are over 10,000 followers. 2. Hashtags and emoji are kings of the platform. Did you know that both hashtags and emoji are searchable on Instagram? This functionality demonstrates their importance on the platform. Therefore, embrace it! Instagram is about expressing oneself visually, ergo use emoji liberally. Think of these two elements like a cake recipe. Hashtags describe the ingredients of the cake, while emoji are its icing. As emoji are little pictures, why not take advantage of them in a visual medium? Find emoji for any purpose online. I have found Emojipedia to be a huge time saver. It’s an encyclopedia of emoji. Note, you can use up to 30 hashtags on an individual post. Don’t be afraid to use all of them! A great way to find relevant hashtags is to use a tool. I strongly recommend using a site like Hashtagify to search for the most popular hashtags for your brand or business. There are excellent mobile apps that allow you to enter a phrase or idea and then produce a list of 30 relevant hashtags for you to copy. I particularly like the Leetags app for this purpose. Grab the available app for either Android and iPhone. It’s free! 3. Engage with other brands and your followers. Don’t you like it when a brand or company pays attention to you? Of course, you do! No brand can grow in a vacuum. It’s imperative that we engage those who have shown interest in us and our actions. These are the people most likely to convert to customers or clients. We want to encourage as many likes, comments, and tags as possible. Ergo, when a person or brand comments on your post, engage with them! Importantly, part of the Instagram algorithm is engagement. You need to like, comment, and use the platform in order to get organic reach. Start a dialog or at least thank them. Little things mean a lot, especially when it comes to building trust and loyalty. For Instagram, try asking your audience to tag their friends or mention them in the comments. This technique is the best way to create engagement on the platform. Remember, if you don’t ask anything of your audience, you won’t get anything back! The brands and accounts with the largest followings all have one thing in common – they are true to themselves. If people have an interest in your unique brand or business, why would you change it for Instagram? If your brand has incorporated an element of humor, then be silly. If you’re artsy, be so! Remember to share photos, quotes, and ideas that you find interesting. Trust your instincts. If it’s interesting to you, chances are it’s equally engaging for your audience. I recommend using Instagram Stories to maximize your reach and engagement with followers. Check out stories posted from popular accounts to get ideas for you brand or business. A story only lasts one day, which makes it special. Be creative. Instagram has exploded. Are you ready to take advantage? I hope that these 4 Instagram tips will encourage you to build your presence. Any new platform poses challenges. Therefore, accept them, post every day, and grow on Instagram! Please contact me if you have any questions and I will be happy to help.